The following is an analysis of where Isaac and Leah (Royer) Fall lived after their marriage on May 16, 1869 in Summit Co. 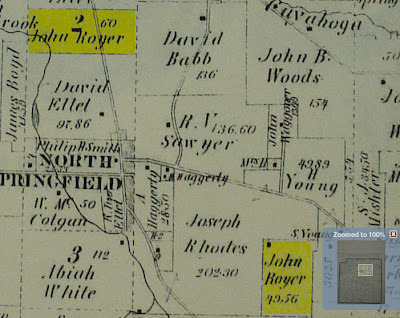 In the 1870 Census Isaac Fall was listed as living next to his father-in-law, John Royer. 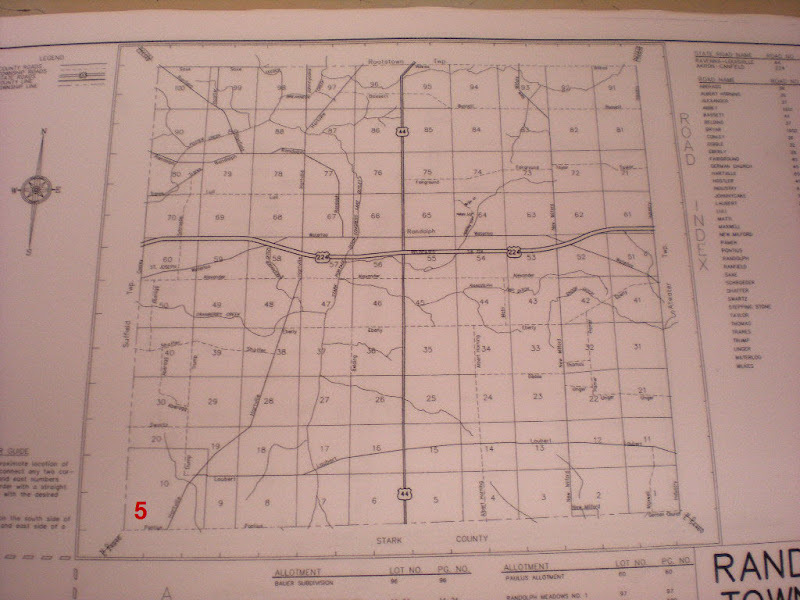 According to the 1874 Summit County Real Estate Plat Map, John Royer owned two pieces of property in Springfield Twp., Summit Co., Ohio. Isaac Fall did not own any land, but was listed on the census as a head of household. 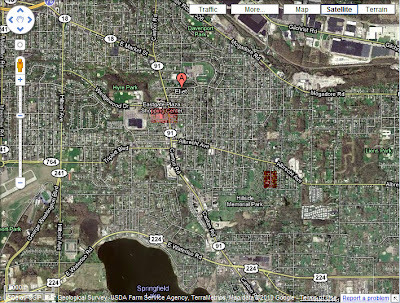 So he either lived with the Royer family or in a rented house near by. 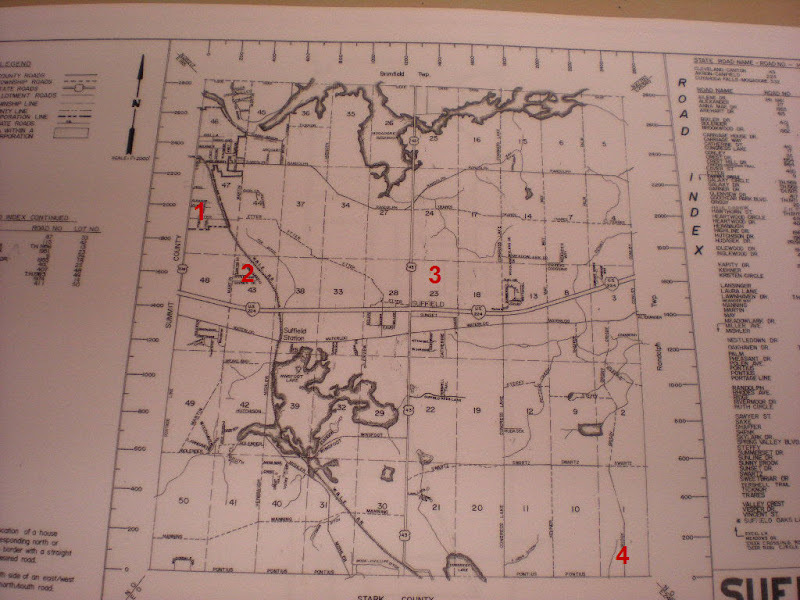 The red markings indicate where John Royer's land would be located on a current map. Effie May Fall was born during the time they lived at this property.